Shooting in overcast weather could be nice - clouds work like diffusor, light nice and soft. But sometimes overcast weather could became a rainy weather. 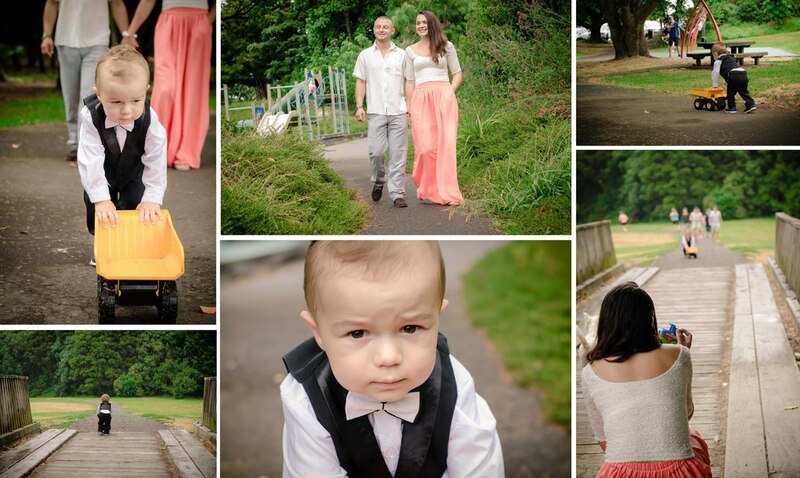 Thats happened at our last family photo shoot with Lena, Anton and gorgeous Yarik. We decided to go to local park and took some shots at beautiful location with trees and bridge, fields and green grass. Yarik been really concentrated on his big yellow truck and want to travel around in his own direction. Parents sometimes just need follow child wishes and let him play and have fun! But just after we started our journey rain starts too. So we had two variants to choose from - cancel photo shoot or keep going, go back under the trees with hope rain stops. It was crazy and fun, and brave parents been ready keep doing session until rain became really heavy. What a terrible weather! We manage to get some shots, but not 100% what we planned (we also been hoping to drive to the beach and took some wonderful beach shots), but we decided went back to the guys house (just around the corner) and took some lifestyle shots around their place. You can do shots in any location! Then sky clear - What a turn! but we finished anyway.